For group travelers in Costa Rica, the best deal is one that can accommodate your entire group. Staying together makes the experience mean so much more. The best choice is a hacienda in Costa Rica. 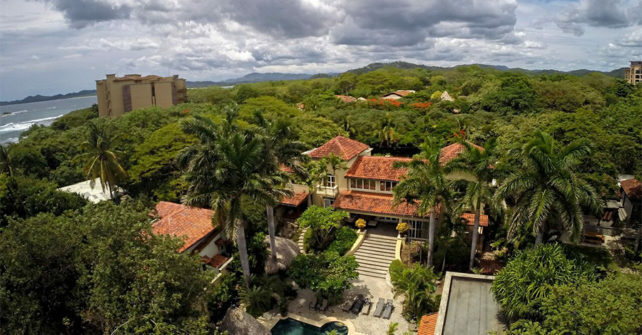 Casa de Luz is a luxury beach hacienda located in Langosta, Costa Rica. Langosta is right next door to the famed Playa Tamarindo. When staying at Casa de Luz, you’ll be within walking distance of the most popular beach in Costa Rica for tourists and locals alike, but far enough away to have a peaceful, quiet beach of your own to chill out with a cocktail and relax. Not all haciendas are the same. Casa de Luz features 8 bedrooms, a gigantic kitchen where a hired chef can prepare all of your meals, a large pool patio and an entertainment area on the side of the hacienda for group activities or parties. The great room that overlooks the pool is extra big to accommodate your planned social activities and group meals. Tours are leaving all day from a couple of locations in Tamarindo, so you’ll never have far to go to catch a ride to a fun-filled day. There are excursions for a wide variety of activities like visiting a coffee farm, climbing a volcano, horseback riding tours and fishing tours. You will have access to private tours, also, in case you want to see something off the beaten path for a truly unique experience. Casa de Luz is a hacienda in Costa Rica that has everything you need for the perfect group vacation. There is no need to spit the group apart and go in different directions. Here you can all stay under one roof, have custom-made meals by a private chef and socialize with your group.